Cleaners to Hire is a full service agency that offers a wide range of sanitation packages that are up to the highest quality standards of the industry, on prices that have no match with any other contractors operating in London. 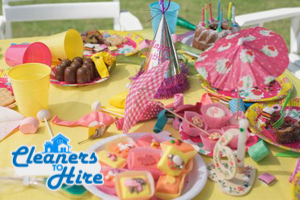 Feel free to get in touch with us any time you are looking for a reliable and cost-efficient after party housework that will cover your needs and make your special event even more special by providing you with the peace of mind that there is someone you can count on to restore the place in a perfect condition once the whole affair is over. Do not worry about a single thing. Our skillful and fully licensed professionals are going to tailor the service and schedule on which it is to be delivered around your needs and personal preferences. They are going to come to your place the morning after the big bash. They will collect all the trash, scrub the toilets, scrubbing and sanitize the kitchen, remove all stains etc. Basically whatever requires washing, it is going to be taken care of using tested methods and state of the art equipment that guarantee excellent results in a timely fashion. Once you have us dealing with the scrubbing after the party, you will have much more free time and energy to concentrate on other important matters related to the event, or to simply enjoy it without having to think who is going to take care of that wine stain on the carpet the next day. What we provide you with is peace of mind, which is going to help you make most out the experience. We offer a very competitive price. This is made possible by our very efficient equipment and methods that help us not waste resources or time while taking care of business. Your quote would be estimated in accordance to the individual specs of the job you hire us for, and what is even more important – it is guaranteed to be perfectly fitting your budget. The experienced and very motivated professional teams are looking forward to the marvellous opportunity of being at your service. 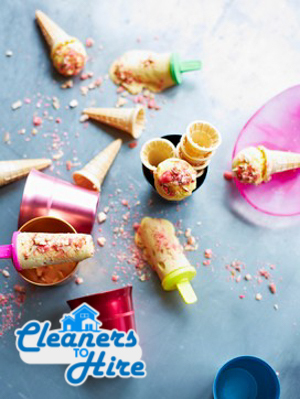 Book them for the day and time you want your after party cleaning done by simply contacting our helpful around the clock customer support over the phone or via email. Do not forget to ask about your free no obligation quote in advance, and leave all the other details to us. We know what we are doing.